Visit Hortons Home Lighting for more about LEDs. LED bulbs are available in a multitude of types, colors, sizes and string configurations. What’s new this year? – Miniature light strings. LEDs are small and can be fabricated into tiny dots of light that are great for decorating foliage, live plants or a floral centerpiece. Some “Dew Drop” light strings are battery operated so no power cords are required. – Tree wrapping. Strings of lights closely wrapped around the base of trees and up into the branches give a festive look to even small trees or shrubs. The secret is to use strings of lights with six inches or less between bulbs, which can be wrapped around the tree with three or less inches between the layers. – Magnetic sockets. Sockets designed to be used with standard screw-in incandescent or LED bulbs are available with built-in magnets that hold tightly to any ferrous metal. A narrow metal backing strip can be used to quickly mount lights in a straight line, making installation, take-down or spacing adjustments easy. 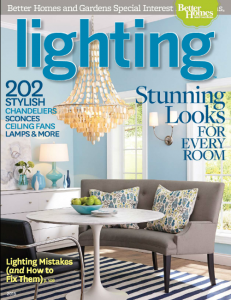 Hortons Home Lighting has helpful home lighting tips. Are LEDs best used in any manner other than simply on and off? – Kevin H.
LED bulbs are not sensitive to on/off cycling, so there is no effect on life. LED bulbs can be dimmed, but the bulb must be marked dimmable and matched with the appropriate type of dimmer for best results. LED dimming technology is still evolving, and the result is that current LED bulb products dim more smoothly and over a greater range than previous models. There are also some bulbs on the market now with a “warm dim” feature that changes the color of the light from the bulb to a warmer tone as the bulb is dimmed – much like an incandescent bulb. Click here to submit your questions to a Hortons lighting professional.